Porsche has remained one of the world’s premier manufacturers of high-performance luxury vehicles. If you have an aircooled Porsche in Portland OR that needs work done, look no further than Trafton’s Foreign Auto. 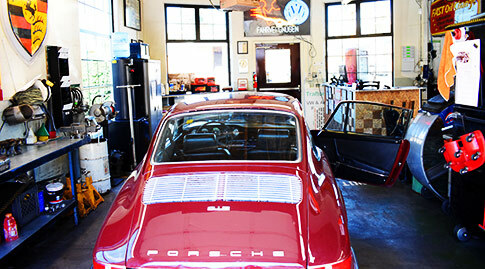 We have been servicing aircooled Porsches in Portland since 1978. Our factory trained and certified mechanics have expert knowledge and tools to fix your classic aircooled Porsche or your newer model vehicle. With every piece of equipment, there are disadvantages of course. While the aircooled engine doesn’t run the risk of freezing in cold temperatures, it does run the risk of overheating. That’s why it’s important to maintain the engine and its fans to keep your engine up and running. At Trafton’s Foreign Auto, we can make sure your engine stays in peak performance shape! That’s why we’re one of the most trusted names for aircooled Porsche repair in Portland! We Work On All Classic Porsche Models! We can take apart and rebuild any Porche engines! Our staff is very experienced and factory trained and can handle any engine rebuild job! Is your Porsche’s transmission running down and need replacement? Let Trafton’s handle it! Our knowledgeable staff can test all electrical components of your Porsche and make sure everything is running at the highest level possible. Need your Porsche to pass emissions and DEQ testing? We can make sure that your Porsche’s exhaust system is running clean enough to pass. Does your Porsche need an upgraded or repaired suspension? Call us today and ask about our Porsche suspension replacement services. WE CAN HANDLE ANY PORSCHE PROBLEM! Our factory trained and certified Porsche mechanics share the same passion about your Porsche as you do. That means we will take care of your Porsche as if it was our own vehicle. Dealerships can get expensive when it comes to repair on aircooled Porsche models, but Trafton’s will give you quality service, classic and hard to find parts, top notch knowledge, and the care your Porsche deserves all at a competitive price! 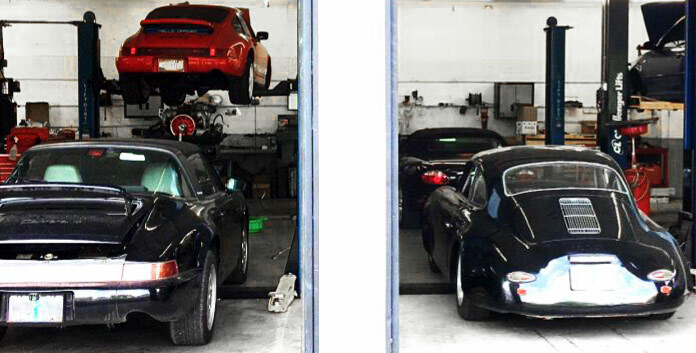 With over 41 years of experience, Trafton’s can handle any and every issue that may arise from your classic Porsche!